When a company has survived 133 years you know they must be doing something right. Haws have been manufacturing watering cans in the UK and selling them worldwide since 1886. A family business, they’ve stood the test of time, and in 2018 they decided their online presence and marketing needed a refresh, to stay up to date with the current resurgence and popularity of gardening. Manufactured in their Smethwick factory, Haws give every product an astute attention to detail using only the finest materials. Their age old designs are still as relevant and useful today. But their online shop needed some updating. Together with Ryan Dean-Corke I collaborated to bring a refreshed look to their website. Designing a new e-commerce shop, which saw online sales improve by over 100%. An incredible result. 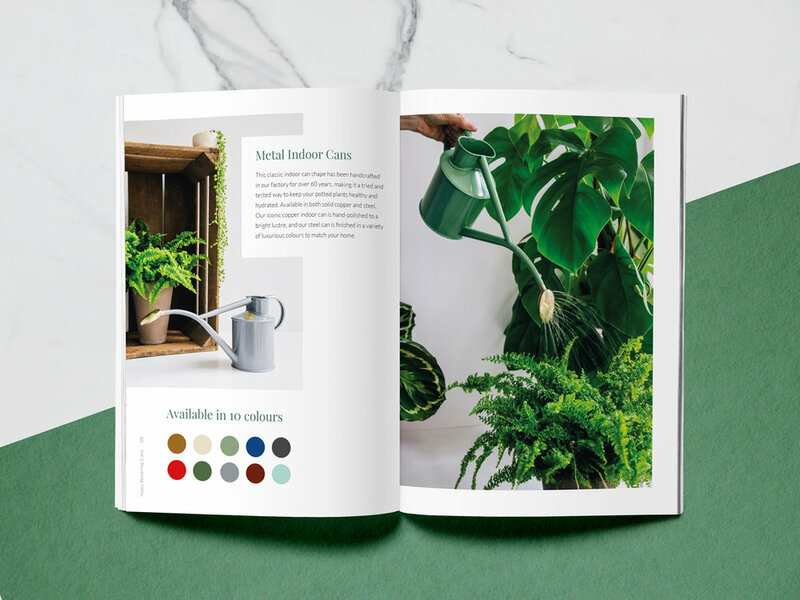 We worked with local photographer Jack Spicer-Adams to produce an updated catalogue of their products, bringing a more contemporary aesthetic to their traditional marketing. An important part of the design process was ensuring that the history and story of Haws was told through their website. We worked with the client to collate historical and archival imagery, telling tales from 130 years of manufacture.